Woodland Hills is a 258 townhome community located within the City of Gaithersburg in Montgomery County, Maryland. Constructed between 1980 and 1989 by four different builders, Woodland Hills is a no-through street community with an entrance/exit on Watkins Mill Road. It is located just off Route 355 and close to I-270. Lake Forest Mall, the Gaithersburg Library, the Gaithersburg-Washington Grove Fire Department, Watkins Mill Elementary and Montgomery Village Middle Schools are located within a mile of the community. The community has two tot lots, tennis courts and a large in-ground swimming pool all maintained under an aggressive preventative maintenance program. Perhaps its greatest asset is the many and varied trees located within the community. 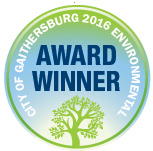 The community has a strong tree protection policy which is supported by the City of Gaithersburg. 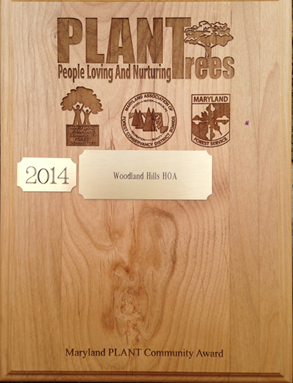 The Woodland Hills Home Owners Association, Inc., a non-profit corporation under the laws of the State of Maryland, is responsible for preserving, maintaining, and managing the affairs of the community. To this end, a five-member Board of Directors meets monthly (usually on the fourth Monday). The annual meeting of the Association is held in the spring, with election of directors every second year. The Association has an operating budget of $194,173 of which the majority of revenue is secured from the monthly homeowner assessment of $80.00 per household. The current Reserve Fund balance is nearly $500,000. Community Associations, Inc., a management company, handles the day-to-day activity of the Association. Other contractors include grounds maintenance, refuse collection, pool service , and tree maintenance. The governing documents of the Association include rules and regulations applicable to use of the recreational facilities, parking spaces, maintenance of common areas, and restrictions on the exterior appearance of homeowner property within the community. 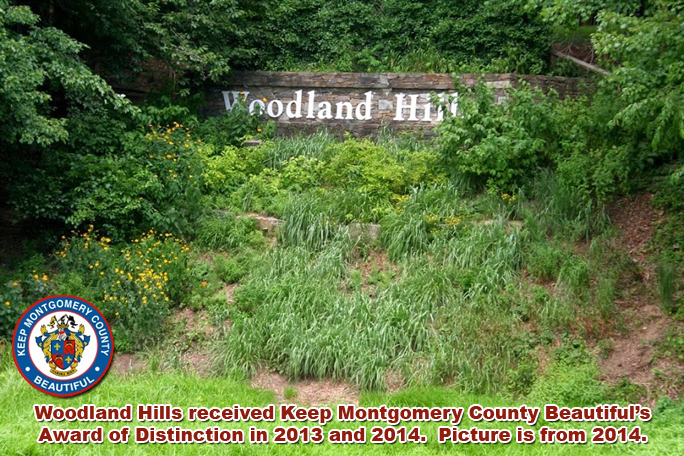 The Montgomery County Department of Transportation's Keep Montgomery County Beautiful Task Force (KMCB) recently recognized Woodland Hills with its Award of Distinction for beautification efforts on the Welcome Hill. KMCB encourages communities to undertake landscape activities and beautification projects that improve the overall appearance of the county. Also, KMCB supports beauty without toxicity by encouraging projects that utilize conservation measures that keep pesticides and fertilizers out of local streams, and encourages the use of native plants. Members of the Landscape Design Council of the National Capital Area Garden Clubs and representatives of the horticulture and landscape design business community judged the submissions. Stay informed about YOUR Community!